It is already on December 12 that you can discover how older adults and technology are related. 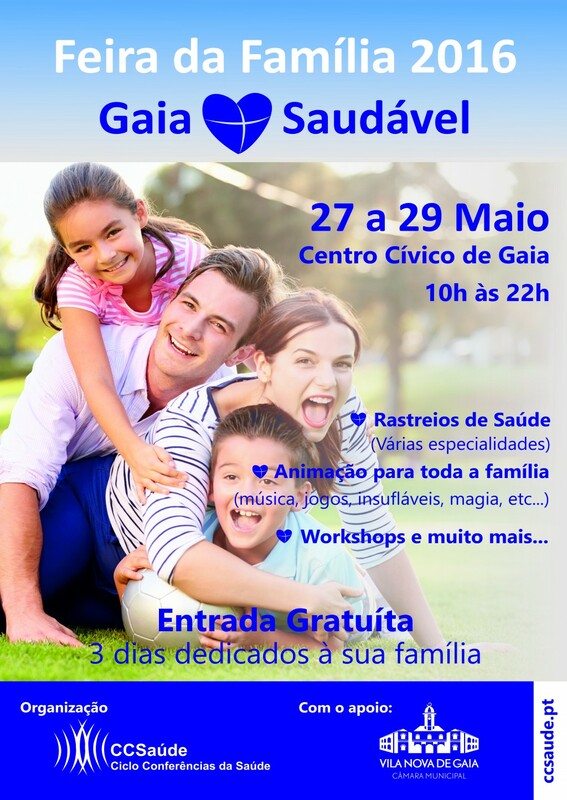 Organized by COLABORAR, this will be an event open to older adults from the city of Porto to discover technology developed with and for older adults. Some of our latest projects related to innovations in m-health, active ageing, wellbeing and literacy will be showcased. User research and testing methodologies will be hilighted as an essential part of research and development. Researchers will be answering all questions posed by our visitors. Don’t miss this opportunity! Registration is free, but limited to available spots. Register through: 220430347. COLABORAR participated in the celebrations of the International Day of Older Persons in Lisbon, the national capital of Portugal. 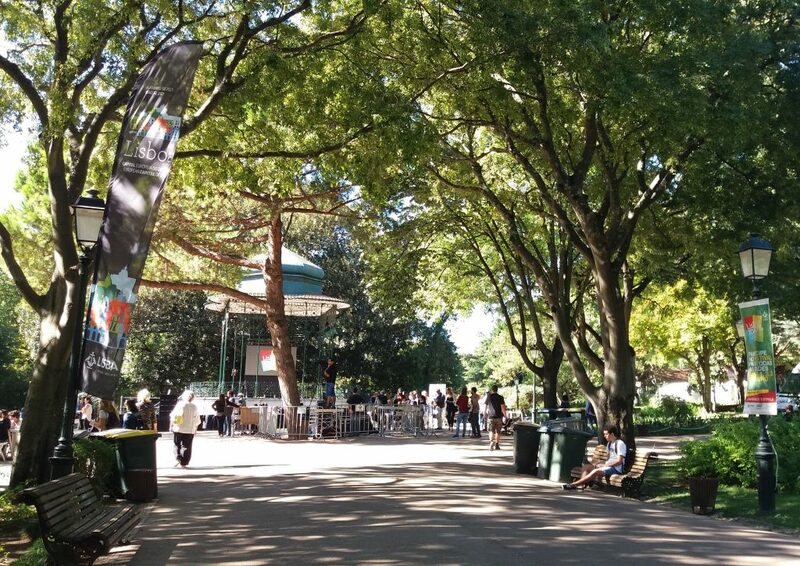 The Municipality of Lisbon organized a big event that took place at Jardim da Estrela, from September 30th to October 3rd, called “Festival LisBoa IDADE – a city with rights for all ages“. There were 4 days of activities for seniors: healthy food market, live show cooking, gymnastics, cardiovascular screenings, presentations, workshops of security at home, herbs and senior volunteering, to name a few. Jardim da Estrela welcomed entire families with activities such as peddy papers, performing arts, walkings, workshops of tricot, introduction to cycling and ateliers of painting. 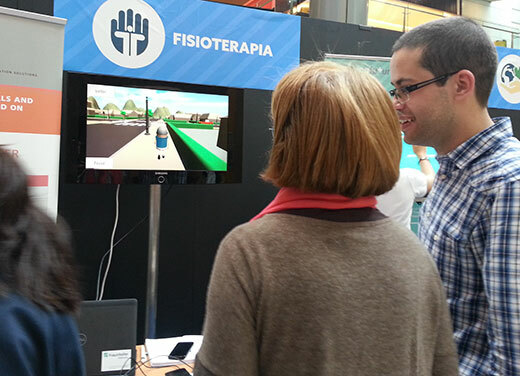 Fraunhofer AICOS shared the stand with Santa Casa da Misericórdia de Lisboa and did demonstrations of projects related to fall prevention, games for cognitive training, chronic diseases management, namely heart disease, and detection of health risks, particularly Melanoma. 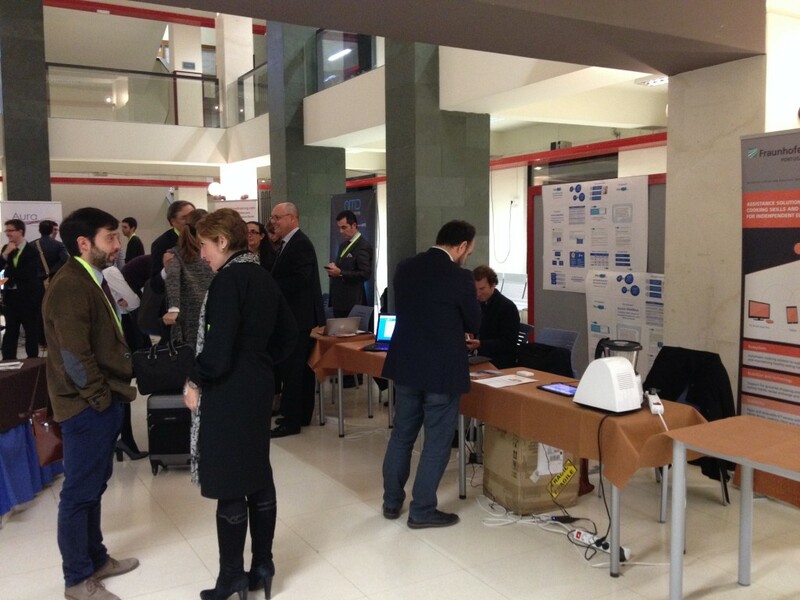 We showcased Fraunhofer‘s projects FCC Fall Risk Assessment, ExerGames, CogniPlay, SmartBEAT and Melanoma Detection. We received great feedback from the visitors, who expressed their enthusiasm in seeing the things we can do with smartphones to prevent diseases. 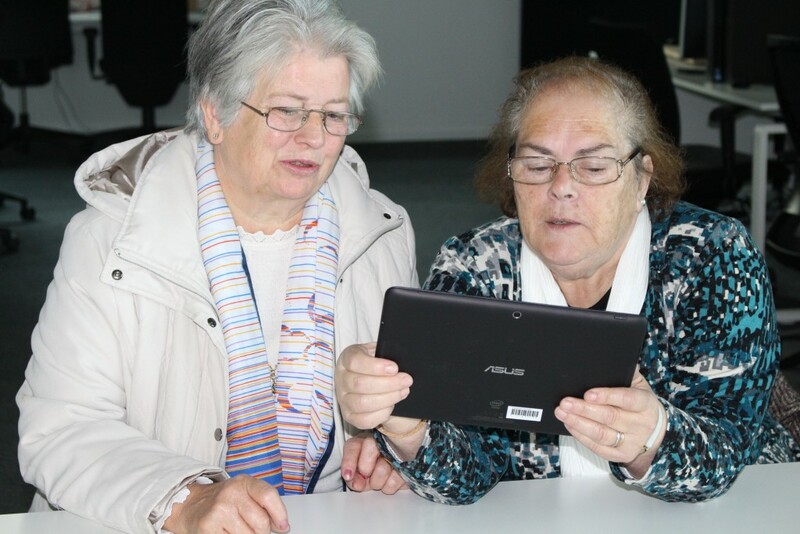 Once again, Fraunhofer AICOS‘ Exergames were a huge success amongst children and seniors! Fraunhofer AICOS‘ director Pedro Almeida made a presentation about our research centre, the main areas of Research and Development (R&D) and introduced as well the projects we were showcasing. Maximiliano Romero, senior researcher at Fraunhofer AICOS, participated in the “Speed talks“, a space of debate, with the theme “Research methodologies in projects of technological innovation”, which was very useful for disseminate our work with older adults in the scope of R&D projects. He explained some basic principles for including seniors in research studies on technology. We feel honored to had the opportunity of participating in the first edition of the Festival LisBoa IDADE and be part of this initiative that gave the public of all ages many moments for having fun and showed several ways for seniors keep active and healthy for many years. 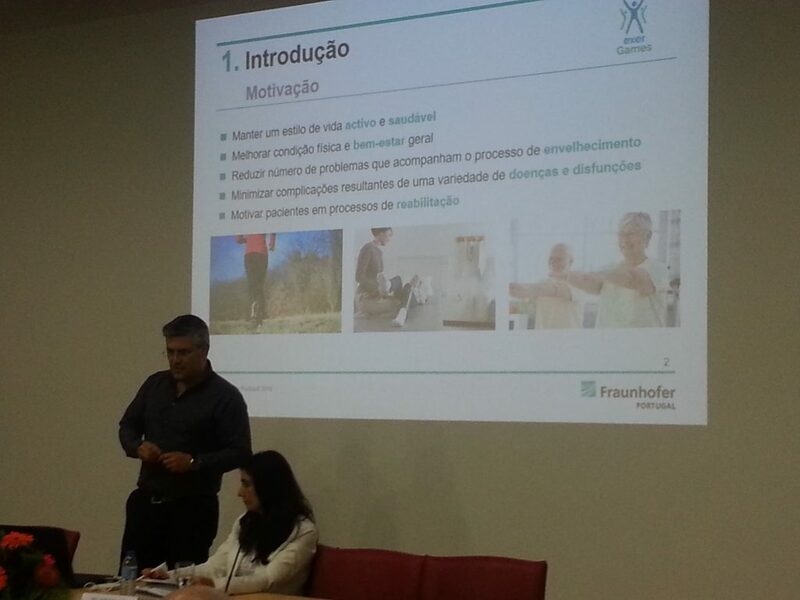 Fraunhofer AICOS’ scientist António Santos traveled to Abiúl, a Portuguese village near Pombal, to present the projects ExerGames and Active@Home in the Seminar Envelhecimento + Activo e Saudável (+ Active and Healthy Ageing). The event was organized by Fundação Dr. José Lourenço Júnior, a nursing home and day-care centre, in partnership with the Municipalities of Pombal and Abiúl. 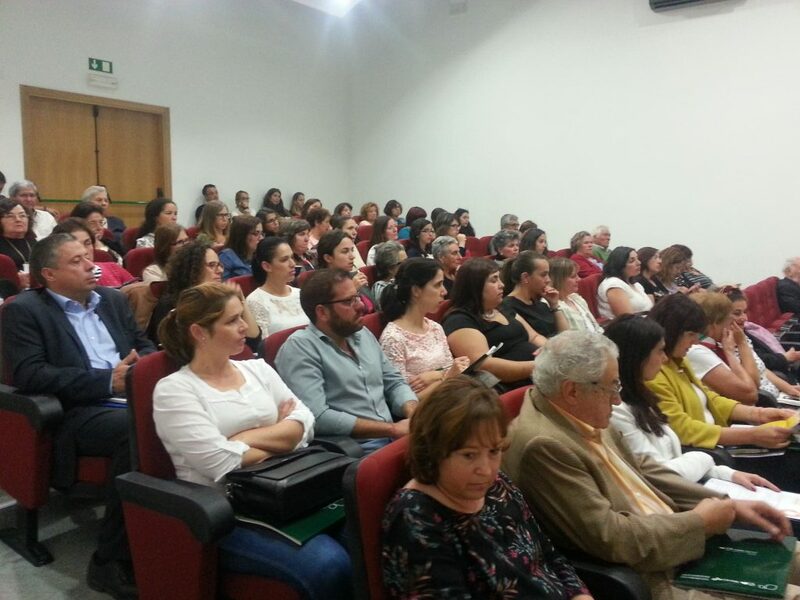 The seminar take place on the 3rd of October, inside the celebrations of the International Day of Older Persons. Presentations were organized into 3 panels with the following themes: Physical Activity and Nutrition, Challenges for a Healthy Ageing and “I am a Senior…So what?”. Guest speakers addressed many issues related to ageing and talked about the challenges for all of us as a society regarding Ageing. Additionally, they gave some practical examples of healthy habits and activities to stay active and healthy in the Older Age. 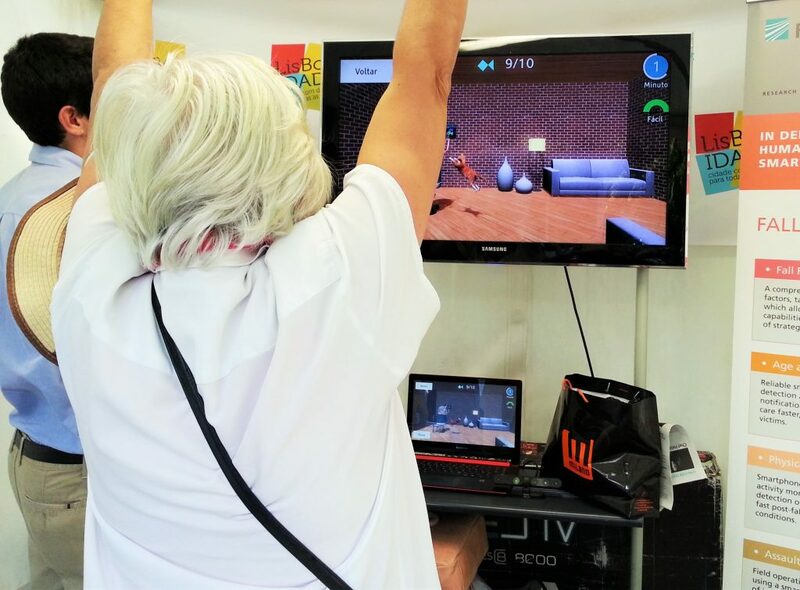 ExerGames and Active@Home received many positive comments from the audience that congratulated us for the innovative concept of joining interactive games and exercising for seniors! Note: We thank Fundação Dr. José Lourenço Júnior for the images. The Municipality of Porto (Câmara Municipal do Porto) and the University of Porto launched a formal application of the region to the European Reference Site of the Active and Healthy Ageing to the European Commission. With this purpose, it was created the consortium Porto4Ageing that comprises more than 70 institutions: decision makers/care providers, companies/industries, academia/research organizations and civil society/users. The consortium will be an Excellent Centre on Active and Healthy Ageing and will act as an aggregator by bringing together many institutions and professionals that work in areas related to seniors. We are very happy that our research centre, Fraunhofer Portugal AICOS, is part of the consortium. We will certainly contribute to the discussion of problems related to older adults and present creative solutions that could be replicated in other regions of Portugal and Europe. 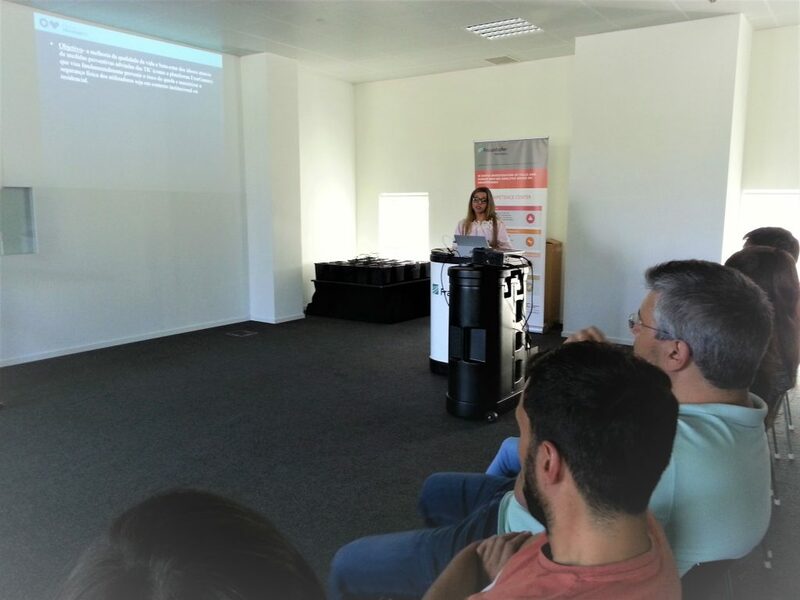 The official ceremony of presentation of the proposal to the European Commission took place on April 11st, in Porto, and many institutions were present. 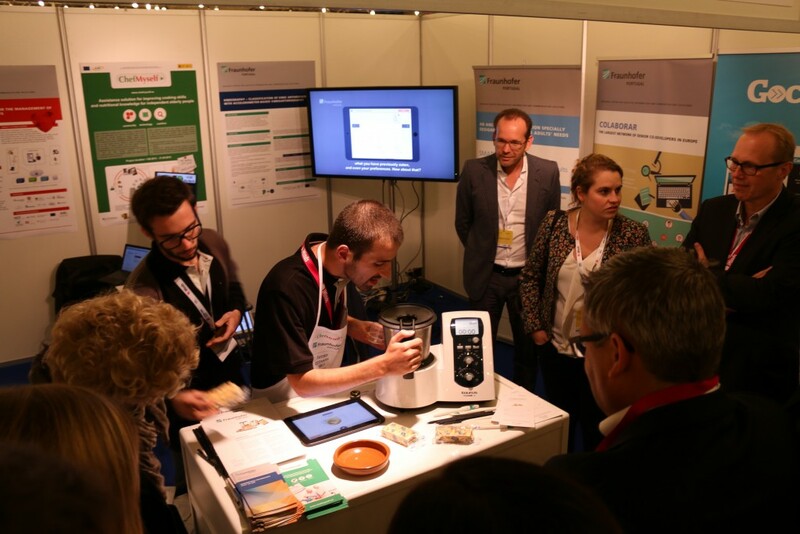 On November 4 and 5, ChefMyself participated in the 2015 eVIA assembly, an annual event organized by eVIA, a Spanish Technology Platform for Health and Active and Independent Life. The event related to the 2015 awards comprised an exhibition and an award ceremony. 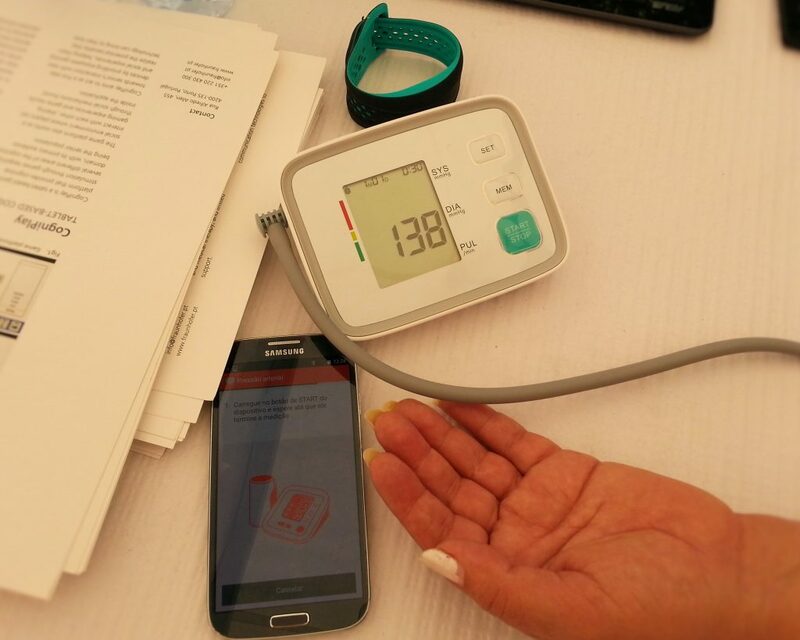 The award acknowledged innovative prototypes in the field of Information and Communication Solutions applied to Health, Accessibility and Active and Independent Life. The event took place in Madrid, Spain, and ChefMyself was one of the finalists of the Innova eVIA awards 2015, which makes the COLABORAR team happy, as the many interviews and tests with real users helped to optimize the design of the system and we enjoy seeing that this good work is recognized. 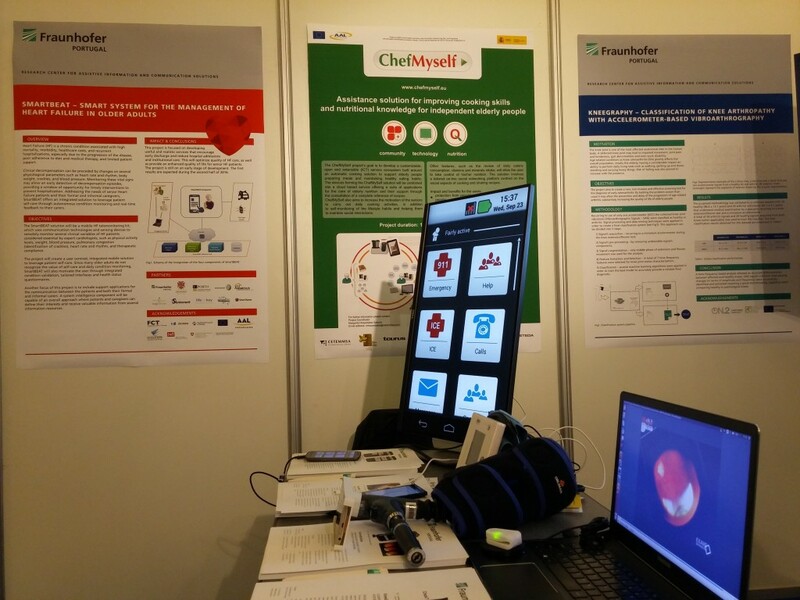 ChefMyself was presented to many people with interests in the field of technologies for health, such as representatives of other R&D units, companies and end-user organizations and got very positive feedback. Congratulations to the ChefMyself team! Learn more about ChefMyself over here. 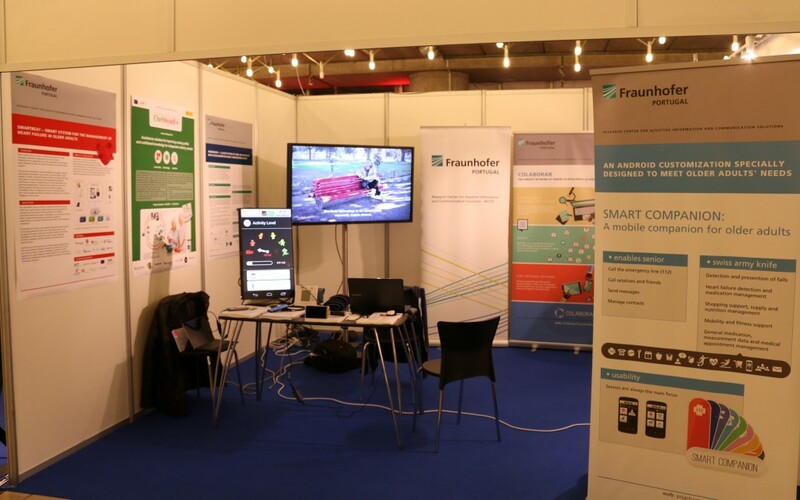 Fraunhofer’s projects were displayed at the AAL Forum 2015, an annual event that gathers Information and Communication Technologies scientists, representatives of the End-user institutions, companies and the public in general interested in new technologies for the promotion of well-being for seniors and people with some disabilities. 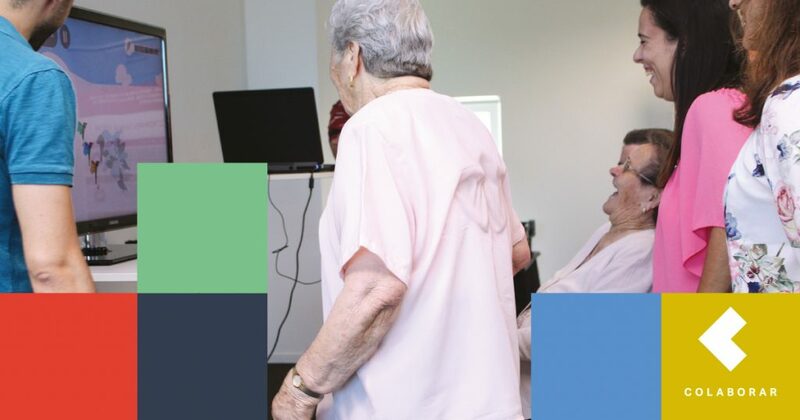 This year, the fair takes place in Ghent, in Belgium and the Fraunhofer’s projects highlighted are ChefMyself, SmartBEAT (management of heart failure in older adults) and Kneegraphy. ChefMyself are displaying its kitchen robot and tablet, with live cooking sessions. Plus, there are Flyers of other projects: ExerBalance, mActivityClassify, EzNav, NeuropathyDetect, SmartCompanion, ANIEPIL (in the area of nutrition), COPDHelper (management of Chronic Obstructive Pulmonary Disease) and EyeFundusScope (related to diabetic retinopathy). Sharing the booth with Fraunhofer is Gociety, who have just won an award for Excellent Smart Health Innovation. COLABORAR could not miss the opportunity to present itself as the largest network of senior co-developers in Europe, as it reunites more than 400 users, over 40 partner institutions and carried out over 1500 design & research activities with seniors and health and social professionals. We give you a sneak peek of the AAL Forum 2015. From 20th to 26th of April, Fraunhofer AICOS was at Semana das Ciências Aplicadas à Saúde, at Dolce Vita, in Coimbra. 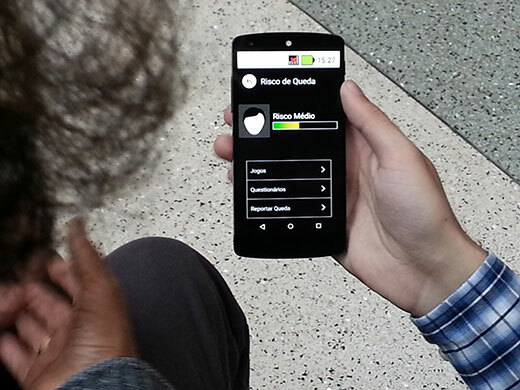 Using the application for smartphone named FCC – Fall Risk Assessment, we did several fall risk evaluations of seniors. Furthermore, visitants had the chance of trying out the Exergames, an application of serious games for fall prevention. People who attended the fair could also pick up our flyers with tips to prevent falls. 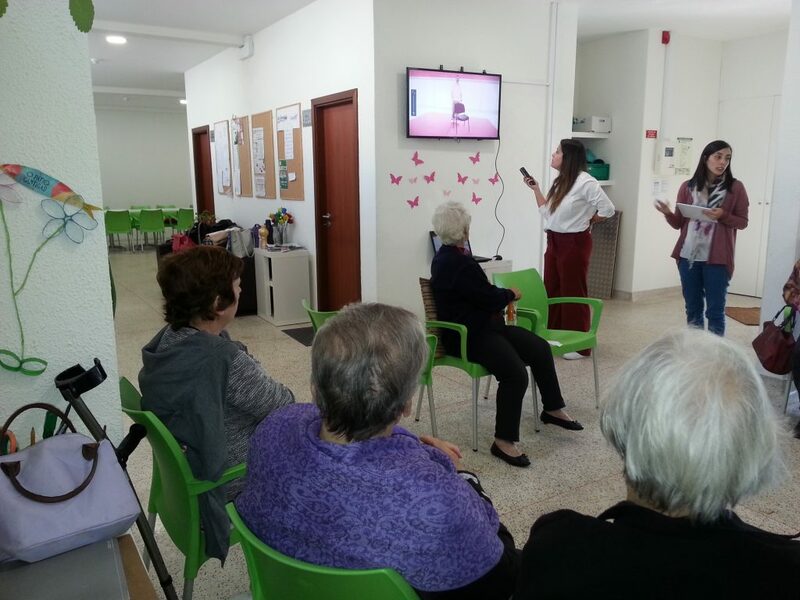 In this way, we contributed to increase the awareness about seniors’ falls and we showcased our projects that aim to contribute to the evaluation of one’s fall risk and the exercises that can prevent falls through technology.